Are you maxing out your credit card with buying the latest trending dog harness and leash in hope that your dog will magically start walking properly on the leash? Are your friends and family annoyed that your dog jumps on them every time they walk through your door? Take one deep breath because there is a solution to your frustrations. 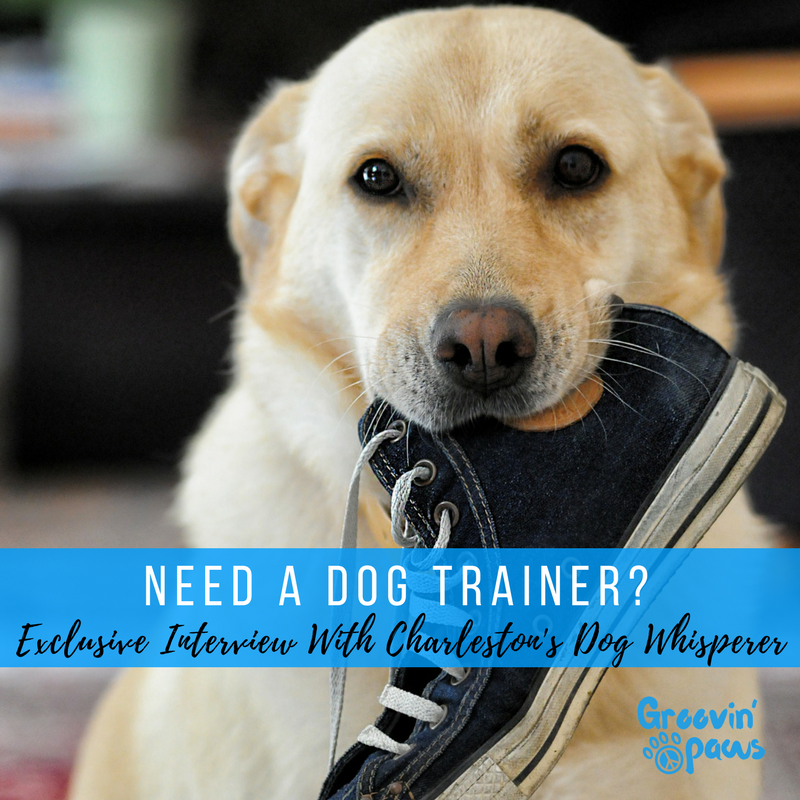 All you have to do is read this helpful and simple advice from “Charleston’s Dog Whisperer,” Ed Diaz. The owner of Groovin’ Paws Dog Walking and Sitting, Mara DeMauro, was able to work with Ed in training her two mini schnauzers. They had dominance and leash aggression and as is characteristic of the breed, were super yappy whenever someone came in the house or walked by outside. Mara became fascinated with Ed’s simple and calm approach, which led her to ask him if he would be willing to answer questions about dog training. Below are questions about Ed’s dog training philosophy, dog training techniques, and overall animal behavior. Without further to do….drum-roll...Ed Diaz! Q: So you are known as the “Charleston’s Dog Whisperer. Who are you really and what do you do? A: My name is Edward Diaz and I have a PhD in Animal Behavior. I’m an International Animal Behavior Consultant, specializing in wild animals in captivity. I have been working in the field for 18 years and when I am not traveling to other countries to work with all different kinds of animals, I am in Charleston helping people understand their behavior in relation to their pets. I always knew that I wanted to work with animal behavior and those opportunities sort of unfolded for me as the years went on. Q: What is most important when looking to hire a dog trainer? A: It is important that the trainer and owner share the same vision for the dog’s behavior. Changing people is very difficult. If you are not comfortable with the trainers approach then you are most likely not going to follow the advice given. There are many training methodologies out there and some are more effective long-term. The more relaxed you can be throughout the training process the more likely that your dog will follow suit. The more intense you are, the more intense your dog will become. If you rely on any gadget long-term, for example, a prong or shock collar, your dog will never properly go through the learning process and understand what is expected of them. A: Walking on the leash. Most people misunderstand how dogs should walk and allow them to walk in front of them and go in a zig-zag pattern. They also let their dog “mark” their territory so often that the dog builds a sense of dominance and takes charge of the walk. Structured dog walking is super important to the overall success of training your dog to walk on the leash. Your dog needs to have proper posture. To do this you need to have a short, yet loose leash, and your dog’s head needs to be up and they should be standing next to your side. This sounds easier than done but often times can be improved almost immediately with the proper trainer. People have to experience proper leash walking with their dog to truly understand how nice it is for them and for their dog. It’s fun to walk with your dog, but it’s not fun to be dragged by your dog. When you learn how to relax and control the leash your dog will also relax and enjoy their walk instead of being hyper-alert and constantly pulling. Just remember, nervous walking creates a nervous dog. A nervous dog without rules is dangerous. Dogs learn through experience and repetitions. Practice, practice, practice. Q: What sets you apart from other dog trainers? A: I try to be as neutral as possible during my evaluation with the dog so that I can communicate the issues that I see. More often than not, it is the humans behavior and patterns that create the dog’s unwanted behavior. A lot of my training goes beyond evaluating the dog but also the owner. I aim to make my training sessions as simple and easy for the owner. If you do your “homework” you will see the results. Q: What is a fun fact about the training services that you have provided over the years? A: There are some people who want their dogs to go on to be therapy dogs. I have had 100% passing rate because the owners choose to follow direction and continue to practice. Q: What types of daily activity should a dog do to stay physically and mentally fit? A: Walking. A lot. Daily dog walking helps them to socialize, interact, and learn about their own environment. It helps them to feel stable. It’s especially helpful when dogs walk with structure. Unfortunately, most people don’t walk their dogs enough because they either had a bad experience while walking their dog, they can’t control their dog on the leash, or they don’t have enough time. Q: If you had to leave one final piece of advice for people struggling with training their dog what would it be? Curious what Ed’s clients have to say about him? Read some of their testimonials below. *Please note that there are many different training methods and techniques available and not one style of training will fit everyone’s needs. Most importantly, choose a trainer whose values and visions match your own. To set up a FREE consultation with Ed, contact his company, Dargan and Díaz In-Home Pet Training via email info@dargananddiaz.com or by phone at 843.300.2871. If you would like to get your pup on our daily dog walking schedule to reinforce their leash training, socialization, and overall health, click here to contact us. We look forward to hearing from you and welcoming you to our groovin’ family!